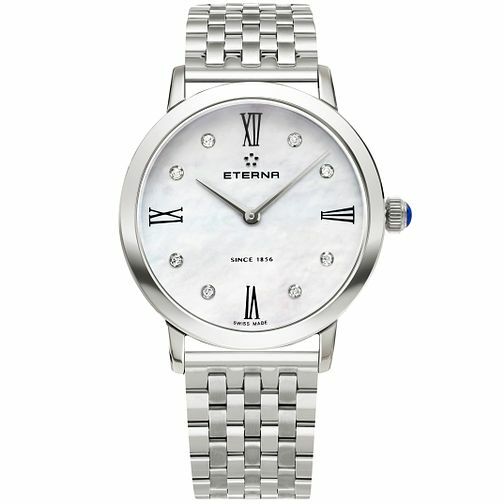 Eterna's new Eternity collection draws inspiration from the brand's iconic timepieces. Ladies models also feature rich dials combined with Top Wesselton diamonds and cabochon crowns. This stainless steel bracelet model is 50m water resistant, features a Swiss quartz movement and is supplied with a fully adjustable stainless steel bracelet & folding clasp.